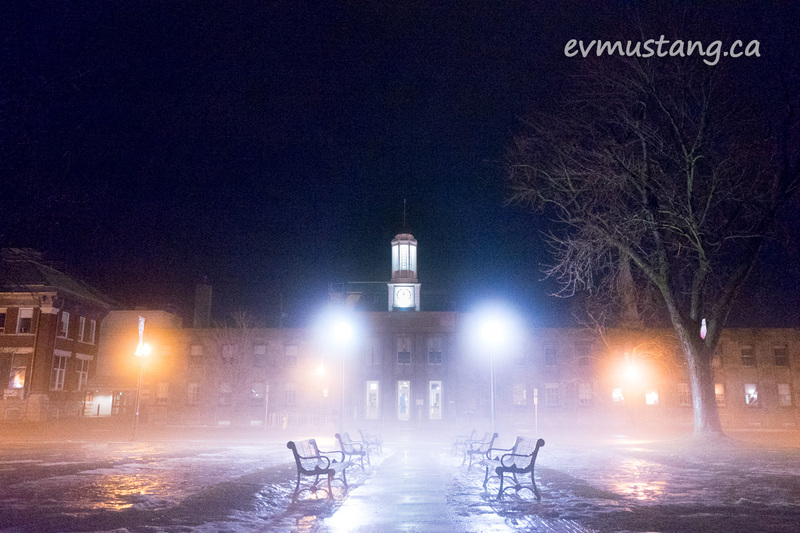 Everyone was astounded by the fog this week. 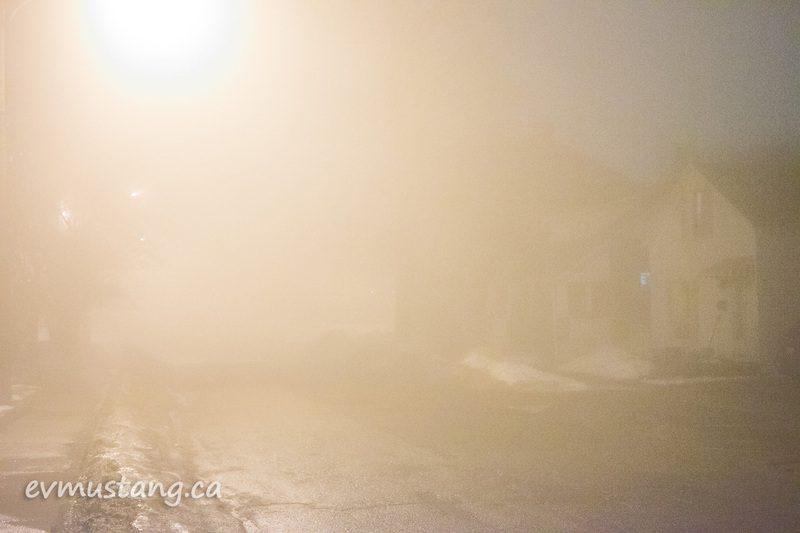 It was so thick I couldn’t see more than two streetlights down from my house. I had to go out that night, but fortunately I was on foot. 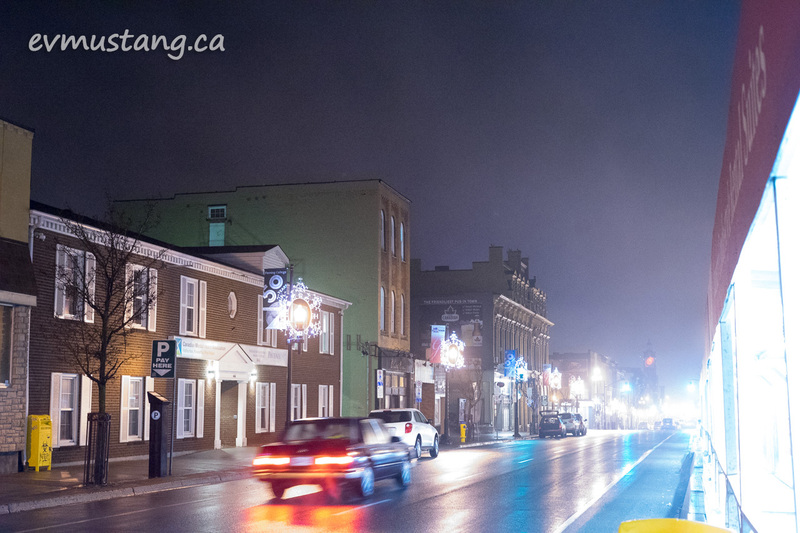 Of course, I had to take a photo of Peterborough’s City Hall shrouded in the fog that was not nearly as thick right downtown. 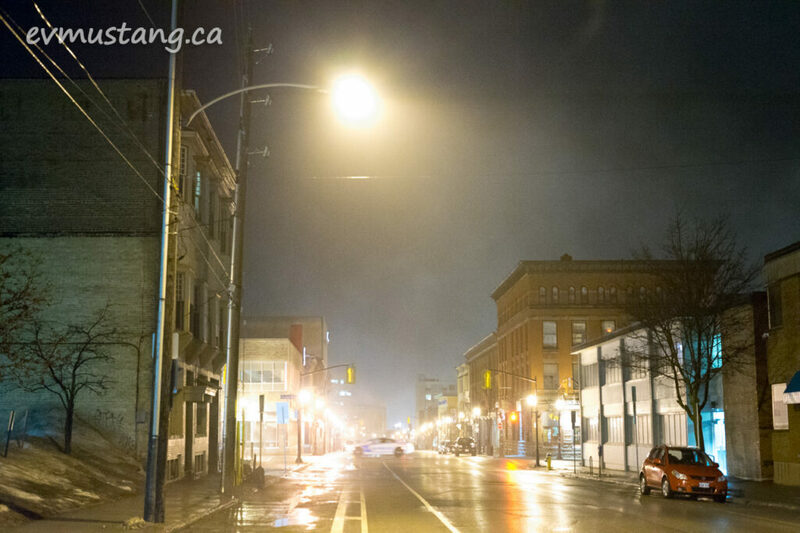 The heat from the pavement spread the fog thin and driving was easier under the downtown lights. It still felt very “cloak and dagger” out and I’m sure the police, who were out in force, were being kept busy with auto accidents. But for me, on foot, it was visually compelling. 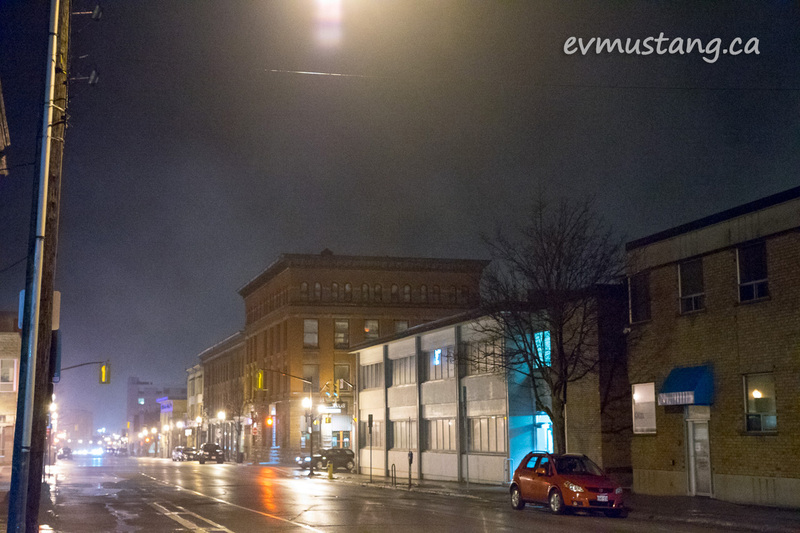 The halos around the lights and the reflections in the street made everything look like an Edward Hopper painting. I love it when life imitates art. It was beautiful. Thanks for capturing some of the mood!